Surebuy Premium is the private label brand of Shopwise and Rustans offering top quality and premium products. 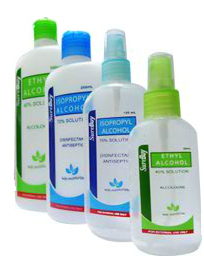 Our products include 70% isopropyl alcohol, 40% ethyl alcohol, hand sanitizing gel, hand sanitizing spray and hand sanitizing foam. Our Surebuy Premium products cater to people from all age groups. If you are looking for a straight to the rubbing alcohol with a clean smell or a hand sanitizing foam with a pink lemonade fragrance, then go to the nearest Rustans or Shopwise outlet!